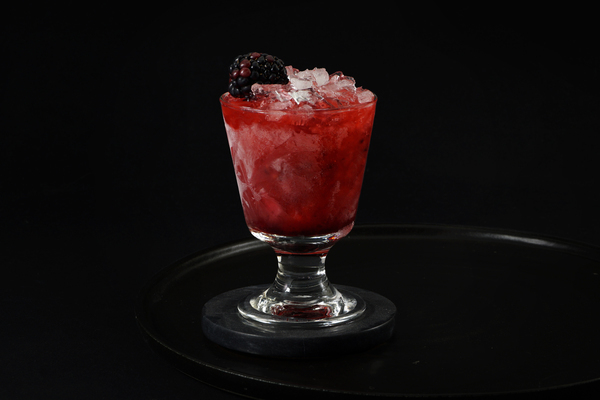 This showy drink arrives courtesy of the excellent Canon cocktail book, published by its namesake bar in Seattle. 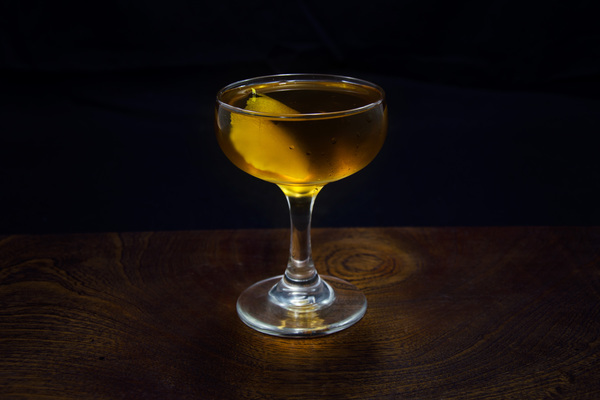 In a dimly-lit bar like Canon, it undoubtedly won favor amongst other menu items because of its flashy preparation; the beverage is presented by lighting a Chartreuse rinse aflame before dousing it with the rest of the drink. That said, when we first tried this recipe we didn’t bother with the fire and it didn’t matter; it’s pretty good by any terms. 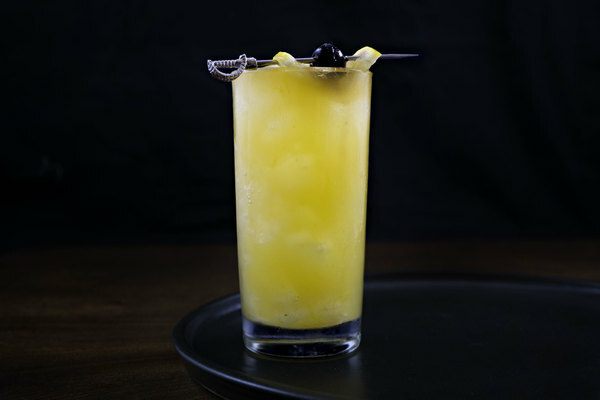 The drink has a heavenly nose full of fruit, pear, lavender, and juniper. On the sip, it begins with sharpness from the lemon, followed by botanicals from the gin and a lingering complexity from Chartreuse as it sits on the back of the tongue. It is emphatically in the dry gin style, but with a transfixing cold-weather seasonal vibe. Choosing a proper gin for this drink is imperative. We first made it with Benham’s gin and the results were fabulous. We later made the drink with a complex American-style gin and wondered if our excitement was premature. On our third and final attempt we used Barmatt’s gin and again the result was excellent. The key is to use a London Dry style gin with a mellow profile. Bonus points if the gin has notes of citrus. 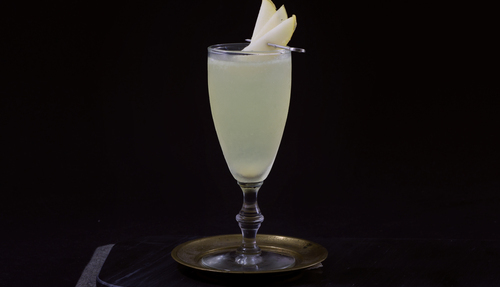 This recipe calls for a pear liqueur, not a pear brandy. Pear liqueur is sweet and fruity, while pear brandy tastes like fruit-flavored paint thinner, so it shouldn’t be hard to tell what you have. We used St. George’s spiced pear liqueur to excellent results. If you only have pear brandy, a combination with simple syrup could work as a replacement. As previously mentioned, you don’t have to light the chartreuse on fire, but in a taste test we did notice that the caramelization added a nice nuttiness, and besides: lighting Chartreuse on fire is super easy and looks pretty freaking cool. What is there to lose?